I recently got a chance to speak to some of the Microsoft team members at AXUG Summit 2013 and got an opportunity to see some of the upcoming changes around the Dynamics AX community. One of the major changes I have seen is in the upgrading of the Websites associated with AX (community, customer and partner source, and the documentation pages). One of the key aspects of this change is in the ability to search for things. As anyone in the community knows, the search feature for all the AX related sites was broken at best. After having some of the pages demo'ed to me, I was actually able to find what I was looking for using the search mechanism on the site without spending 4 hours tearing my hair out. Customer source got a new look and feel that makes it seem much more like Windows 8 and brings it in line with many of the other Microsoft Web pages that have recently been modified (sorry about the picture quality . 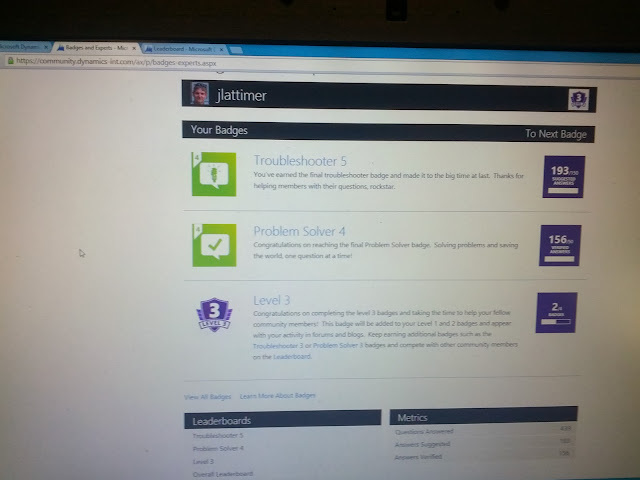 The community team has been working hard to revamp the community site and give it a more modern Visual Studio 2013 look and feel as well as adding some gamification in the way of badges and experts. I also had a chance to speak with several members of the technical documentation team and had some long honest discussions about the state of AX technical documentation. What I found was that all the members of the Microsoft team seemed very responsive and genuine in their desire to make things better. It really feels like Microsoft is making an honest effort to reach out to a long neglected community and attempt to bring them together. 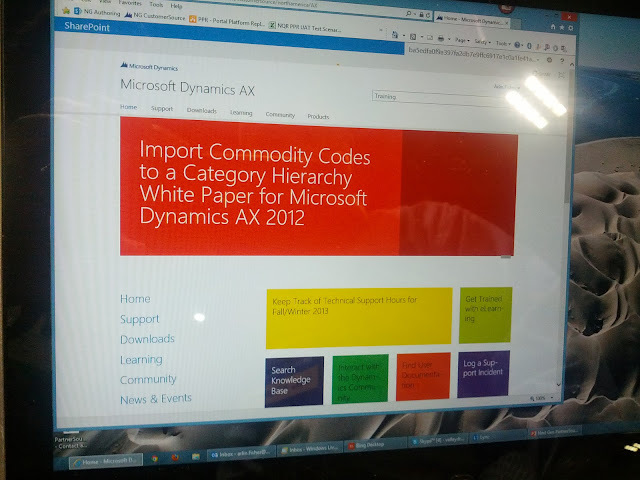 They have also created a Microsoft Dynamics AX council in hopes of reaching out to the community and using members of the community to provide feedback on upcoming products as well as access to beta previews of software as well. When you add these changes to things like the Microsoft Garage (BTW, Mouse Without Borders is amazing), and the Microsoft RDP client for Android, you start to see something of a shift in the mentality of Microsoft. They seem more fun lately, like they are trying to change their image (without trying too hard). I really like what they are doing and I hope that this trend continues because I know that there is much work to be done in order to try and push developers into this platform (there is a real shortage of good X++ developers).